Sometimes your Blogger Blogspot Blog post URL may encounter some issues which one of the main issues is for your post URL to contain UNDERSCORE (_). Or maybe you published a post but don't like the URL of the post you published. And want to custom redirect the old URL to new URL. So that the post authority on the old URL won't be lost. This option always occurs with newbie bloggers who don't know the importance of including keywords on post URL. These are one of the main things that can make you want to redirect an old post URL to new URL in other to remove the underscore in the URL. Since the Blogger Blogspot runs a free hosting service and not a paid hosting service there are some basic limitations to what one can do on a Blogger blog. In WordPress blogging platforms we have plugins which can help us to custom redirect a post URL to another. Must read How to make your Website Multilingual to help you gain more web visitors from different Countries. But on blogger, you have to do the post custom URL redirection manually. This what this post is all about, I want you to be able to do custom post URL redirect easily within some minutes on your blogger blog. 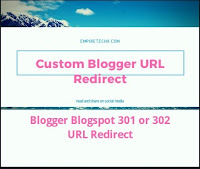 To do custom post URL redirect on Blogger Blogspot blog we have two options, to either do permanent 301 URL redirection or temporary 302 URL redirection. This two options will be tackled in this article. How to do custom Blogger URL redirect from one post URL to another URL? >> Login to your Blogger blog using your Google email ID and password. See how to remove quick edit from your blog and how to remove it. How to implement the custom URL redirect on Blogger. From the above image after clicking on Edit. Then you have to put in the post URL you want to custom redirect to the box they wrote From and the new URL on the box To. From here you can redirect blogger post to another blogging platform like from blogger to WordPress. To do permanent 301 redirects check the permanent redirect box or uncheck to do temporary 302 redirects. Note: You don't need to put in your full blog domain URL in From-To box. See how to use your blog site as an e-commerce website. 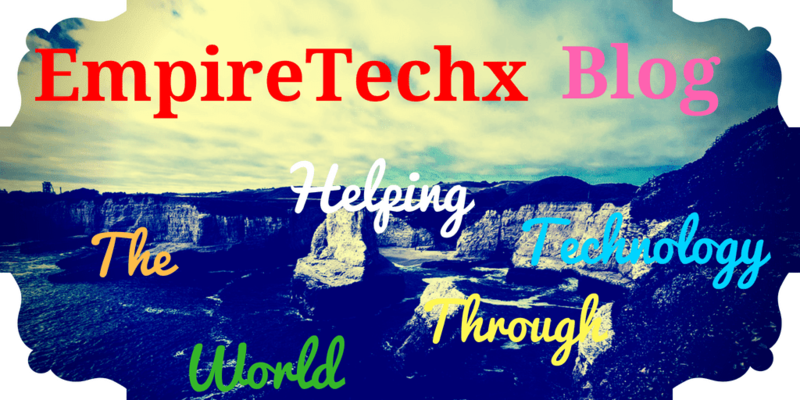 All you need to do is to put in your blog subdirectory URL name in this form. For instance, you want to redirect a blogger post URL with underscore on it which affects your blog SEO ranking to new URL. Put in the above URL in the From box and the new post URL on the To box like this. Then check permanent to do 301 redirects or leave it to do temporary 302 redirects. Note also that this tip doesn't redirect blogger URL to external post links. Enjoy, also share on Social Media like Facebook, Twitter, Google Plus, LinkedIn etc.